Christmas Balls 34-Count Just $8.99! Down From $15! PLUS FREE Shipping! You are here: Home / Great Deals / Amazon Deals / Christmas Balls 34-Count Just $8.99! Down From $15! PLUS FREE Shipping! Amazon is currently offering this Christmas Balls 34-Count for just $8.99 down from $14.99 PLUS FREE shipping! 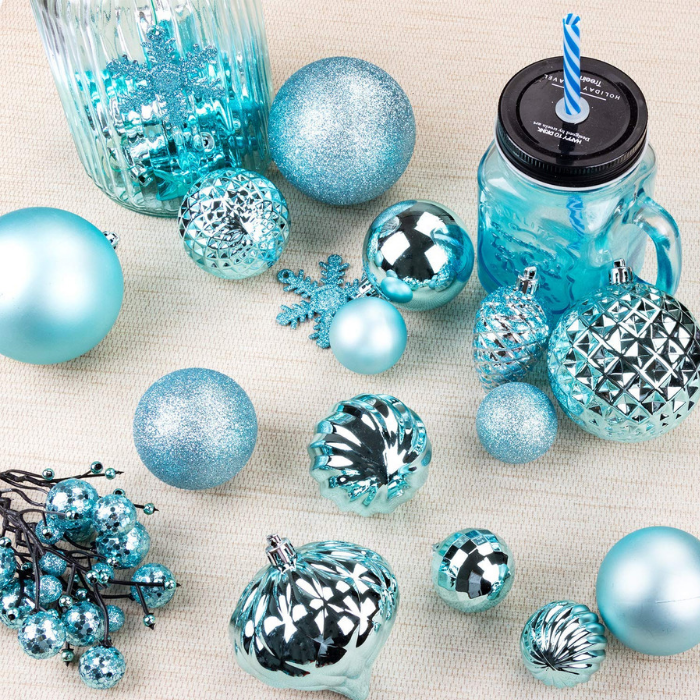 These Christmas balls are perfect for snow white themed, coastal themed Christmas decorations. The color goes well with other light colors, such as pink, teal, light green, and white. 1.57″ SMALL Christmas balls are done in 5 special finishes: Shiny, Matte, Glitter, Shiny Swirl and Mirrored. Small Christmas balls can be used on small tabletop trees. They are also great to hang on the top part or to fill small place of big trees.